Just found! 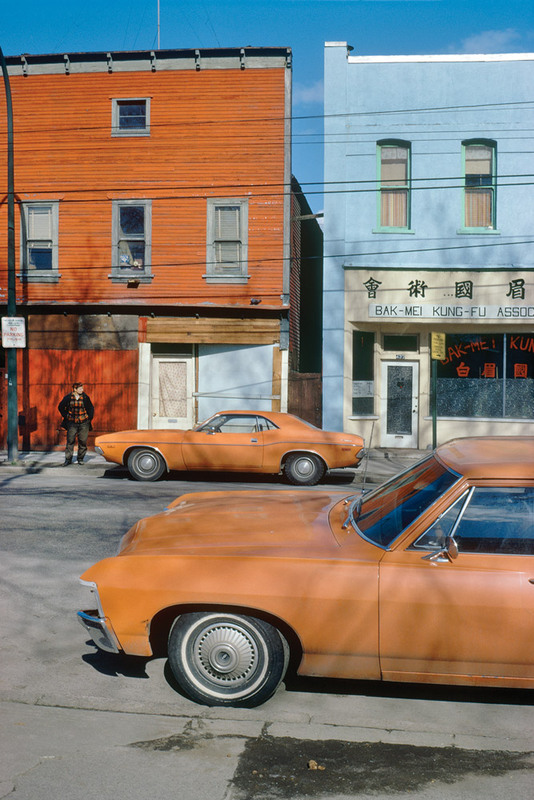 The Ming Sun Building (in blue) from Fred Herzog’s 1973 Orange Cars. Serendipitously, Fred made a visit to 439 Powell late last year. This photo is reproduced on this blog through the generosity (and permission) of Fred Herzog and the Equinox Gallery. We still looking for historic photos of the Ming Sun Building, please feel free to contact us and we would like to share them with everyone who would like to restore 439 Powell. While we still have not figured out a way (yet) to individually thank all our community donors, we’d like to thank you here again as your donation goes into the campaign to restore 439 Powell.